More photos up on Flickr. 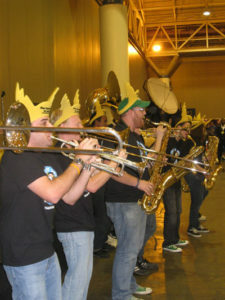 A marching band jazzes up the WeatherFest activities. The Weather Channel gives advice to a budding broadcaster. A young attendee gets a close look at a tornado in a bottle.